The tasks of the developers were previously confined to coding, testing and pushing of code to the repository. A developer was never bothered about where the application was run and how the environment or the server was set up. Now with the DevOps culture taking a front seat, it is imperative for a developer to know the basic commands and working of the servers where their programs are running. 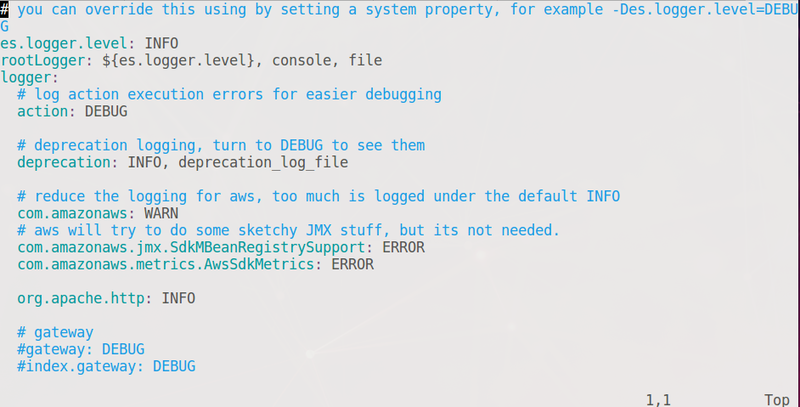 In this post, we are going to see the most common Linux commands that a developer should know for supporting basic DevOps. About 90% of the production servers operating in the cloud are run on Linux operating system. Google and Amazon have very good support for the Linux servers and there are different flavours of Linux available. Though there are different releases, the commands are mostly similar across them. As an icing on the cake, Mac OS which itself is based on Unix also recognizes most of the commands we are about to discuss. Following would be a list of common Linux based operating systems. Centos – This is the most common flavour of OS for the enterprise environment. This managed by RedHat enterprises. Ubuntu – Another very common choice of Linux. This most widely used on Desktops and they have a dedicated trimmed down version of servers which is used in many mission-critical applications. Each of the above listed operating systems has got their own package manager ( for installation of programs and dependencies), but the commands we discuss are going to be common for all. Let’s see what are common commands we would need as a developer in a Linux system. We will be having it organized based on the operations. Please note that you need to either run a local Linux system or have access to a Linux terminal for trying out the commands. I would suggest to go through the details to understand each command and keep the gist handy for quick reference. The first command that you would need to connect to a server is SSH. 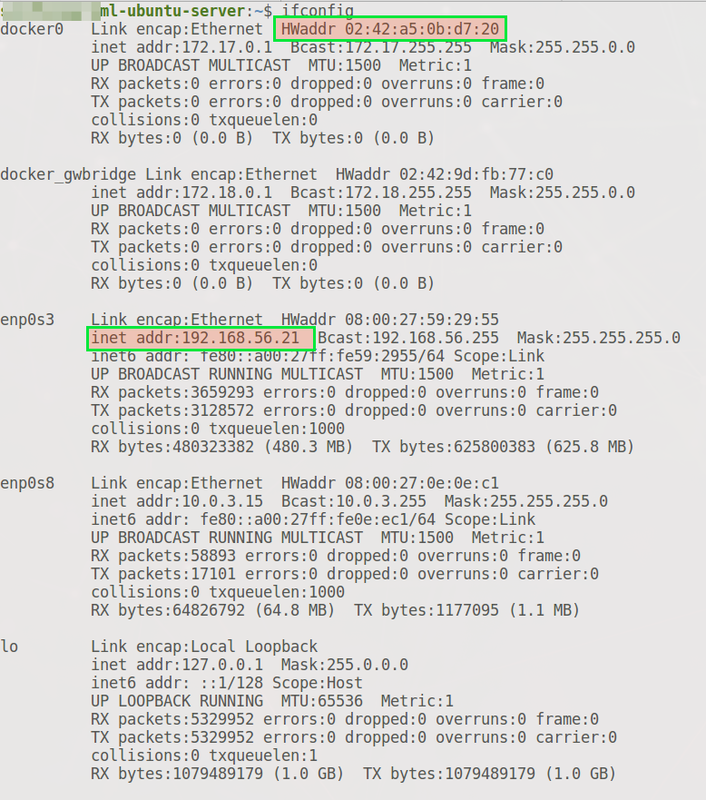 This command allows you to connect to a remote server using its IP or the hostname. Following would be the basic usage. This will ask for the password and you can enter the password for the provided user. On successful authentication, you will be provided with a shell where you can enter the commands and access the files on the server. Connecting using a private key pem file. In case you want to get the verbose output, you can use -v flag as below. Once you have access to the terminal, you would need to move around the locations or get the current location. Let’s see what are the commands. You can see that the above commands list the files. This will also show the size of the file, permissions and the owner and group of the file. You can list the hidden files using the following version of ls. We can list the files in the order of creation using the following command. Let’s see the commands to manage the directories. This will delete the directory provided. This command will only work when the directory is empty. This will delete all the files in the directory recursively and the -f will make sure that no confirmation is asked for the deletion. Please be careful about the rm -rf command as this could delete the files on the specified directory. Make sure that you specified the correct path without any space . The most common editor available in the Linux environment would be vi. But this editor uses some special key combinations and is terminal based. Let’s see how to use vi editor. You can use the following command to open the file. For editing a file, you need to press i and will show “INSERT” mode at the bottom. Now you can move around the file using arrow keys and insert content. Now to save the file, you need to press <Esc> key and this will put the editor in the command mode. This would display the content as its coming. This will list the last 10 files from the log file. 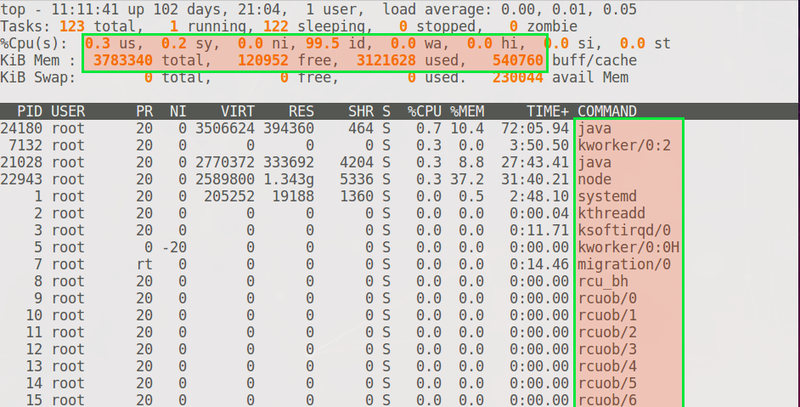 Most of the times we would need to check the resource usage of a server or a particular process. Let’s see what are the commands available for the same. You can run the top command it will list the CPU usage, RAM and the commands. You can see the relevant details in the highlighted section. This will display the disk mounts and the available as well as free space. This will display the folders, files and the corresponding sizes. Most often we would need to download a file from the internet or access a URL file. We can use wget for the same using the following format. wget may not be installed by default in the server. You may need to get it installed using the respective package manager for the operating system. We can use cURL command to call an API using GET, POST, PUT etc. curl -H "Authorization:Basic xxxx" -X GET "http://server:port/api/endpoint"
There are situations wherein we would need to monitor the status of a file transfer or run a command continuously. We could use the watch command in these cases. Following is the format. In the below sample, we are trying to find out the process id for elasticsearch using the port on which it is running. Here -9 is a kill status which means a graceful kill command. The application will be given an instruction to shut down and the process any cleanup. You can also kill by the name of the process using the following command. The commands we have discussed above is only the basic commands in Linux. There are different combinations and switches that extend the above commands and lot of other commands that we can use. I will try to keep this list updated with more suggestions and common commands. Let us know your queries and comments.